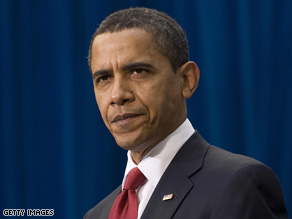 WASHINGTON (CNN) -- Diplomacy will play a bigger role in U.S. efforts in Afghanistan in future even as the Pentagon announced a significant troop increase, President Barack Obama said Tuesday in an interview on Canadian television. "I am absolutely convinced that you cannot solve the problem of Afghanistan, the Taliban, the spread of extremism in that region solely through military means," Obama told journalist Peter Mansbridge as part of a wide-ranging interview with the Canadian Broadcasting Corporation. "We're going to have to use diplomacy. We're going to have to use development." The Pentagon said Tuesday that Obama had approved a significant troop increase for Afghanistan, which is expected to include 8,000 Marines and 4,000 Army troops. An additional 5,000 troops will be deployed at a later date to support combat forces, bringing the total to 17,000, the Defense Department said later in the day. Canada has about 2,800 troops in Afghanistan, but parliament has voted to pull them out by 2011. Obama suggested he will take up the issue with Canadian Prime Minister Stephen Harper when the two meet Thursday in Ottawa. "My hope is that in conversations that I have with Prime Minister Harper, that he and I end up seeing the importance of a comprehensive strategy, and one that ultimately the people of Canada can support, as well as the people of the United States can support," Obama said. The White House is reviewing America's strategy in Afghanistan, according to the president, who said the situation "appears to be deteriorating." iReport.com: Do youths have "war fatigue"? A "Buy American" provision requires the use of U.S.-produced iron, steel and other manufactured goods in public works projects funded by the $787 billion package. Obama said Canadians shouldn't be too worried about the provision. Obama has also been critical of the North American Free Trade Agreement, or NAFTA, saying during a debate with then-Sen. Hillary Clinton that the United States should abandon the treaty if it could not be renegotiated. During another debate with Republican opponent Sen. John McCain, Obama said he believes in fair trade, but added, "NAFTA did not have enforceable labor agreements. ... We should make them enforceable." iReport.com: "Afghanistan: The real war on terror"
Environmental and labor protections are side agreements to NAFTA. "My argument has always been that we might as well incorporate them into the full agreement so that they're fully enforceable," Obama said in the CBC interview.